I liked especially the (here already presented ;-)) crocheted hyperbolic planes and freeform work, knit-covered (computer)cords (similar to filled i-cord), yarn bombing and the secure password input, but also mobius shawls, klein bottle hats, hacked knitting machines and much more. 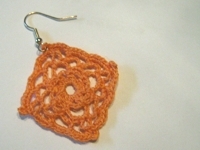 I found out that you can crochet really cute earrings from many crochet motifs. If you’re looking for crochet motifs, try Jessica Tromp, e.g. ‘Womens Crochet-flowers 1’ (more available via the left navigation bar). 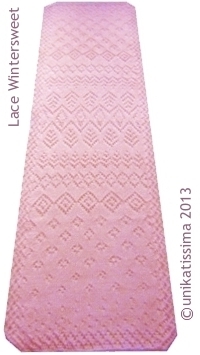 Knit a beautiful Estonian lace inspired shawl on the 24 days of Advent, every day a little bit. 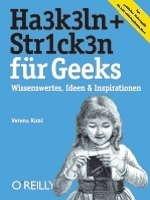 The picture just gives you an idea of what you will knit but (hopefully ;-)) don’t spoil the surprise. Note: There is the group unikatissima at ravelry where you can discuss this pattern and my other patterns, too and where you can show us your wip (work in progress). You can register at ravelry with your username and a valid email address only, with all other information about you it’s up to you whether you give them (at least it was like this when I registered ;-)). 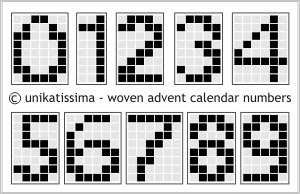 I’ve seen a tutorial for a cute gift wrapping from woven Space invaders and thought immediately: it must be possible to decorate an Advent calendar with them! 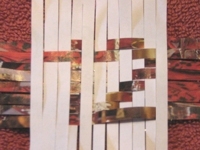 For the number I used paper from an Christmas ad and for the background plain printer paper.